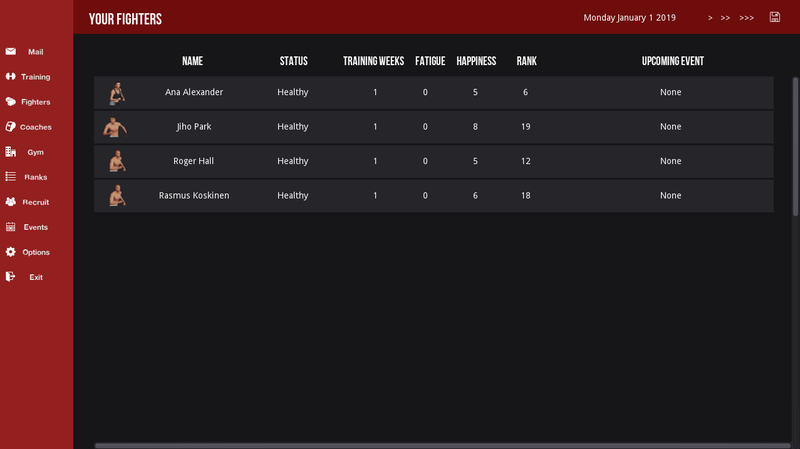 The fighters screen is where you can see the breakdown of the fighters in your gym. Clicking on a fighter will take you to their profile where you can see their stats in detail, fight history, manage their contract, and check their potential. If a fighters happiness goes below 3, they will leave your gym.